CALGARY, AB – A new brewery opening soon in Calgary’s Beltline neighbourhood has launched growler and off-site draught sales while construction on its own taproom is completed. 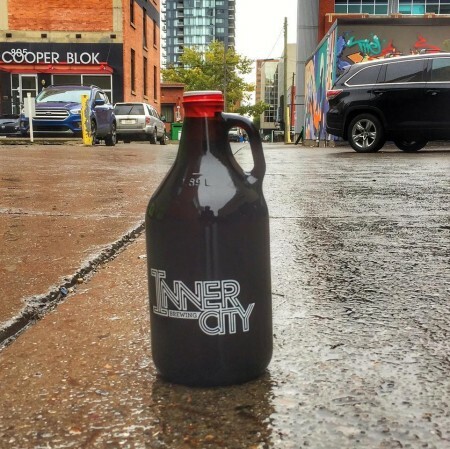 Inner City Brewing has been founded by brewer Chris Nowlan and company director Dave Bell along with a group of other partners and team members. Located at 820 11 Ave SW, the brewery recently started holding #alleybeer pop-ups to sell growlers of Sunnyside XPA and Brick Alley English Dark Mild out of the back door of the building, and the first keg of Bridgelandia Modern Hoppy Blonde will be going on tap today (September 27th) at 4:00 PM at the Blue Star Diner. Inner City’s taproom is planned to open in late October, and will feature 24 draught lines, with 11 set to be pouring at opening, and the others to follow soon after. For more details including notifications of future #alleybeer growler pop-ups, see Inner City’s Instagram feed and Facebook page.